Local and state groups are ramping up efforts to protect Michigan’s fresh water, with a coalition of community foundations working to funnel up to $500,000 to northern Michigan water projects, while Governor Gretchen Whitmer has signed an executive order to restructure the Michigan Department of Environmental Quality (MDEQ) to focus on clean drinking water and Great Lakes protections. On a local level, the Grand Traverse Regional Community Foundation (GTRCF) is forming a coalition with community foundations in Charlevoix County, Leelanau Township, Manistee County, and the Petoskey-Harbor Springs area to launch a new Water First campaign. The program is part of the Great Lakes One Water Partnership and will channel up to $500,000 from the Great Lakes Protection Fund to northern Michigan projects over the next several years, including green infrastructure upgrades and efforts to rewrite local ordinances and zoning plans to better protect watersheds. Steve Wade, vice president of gift planning for GTRCF, says four northern Michigan waterways will be selected as focus areas for the project. The group is seeking watersheds that already have active planning processes around them and community leaders willing to commit time and energy to the program. 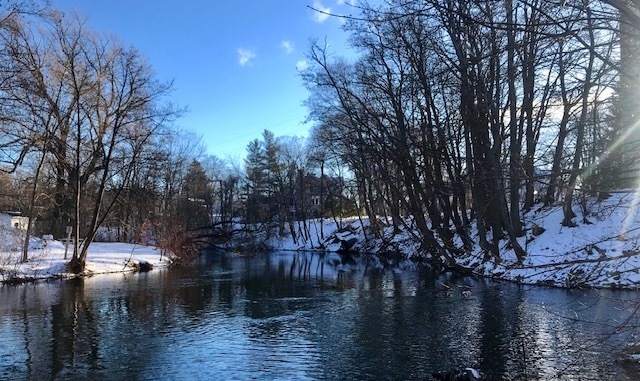 In Traverse City, an implementation team is already working on a strategy for the lower Boardman River; similar planning efforts are underway for the Elk River Chain of Lakes, Little Manistee, and Crystal Lake. The coalition is hosting an online survey through February 15 to get ideas from the public about projects they’d like to see funded. “If one group is ready to go in the near term in 2019, then great – we’ll get them up and running,” says Wade. “If another group needs more time and is ready in 2020 or further out, than we can be nimble and continue to work with them. The funders want to create a repository of information from (projects and policies) used in each of the six regions to say, ‘Here’s what we’ve learned, here’s what worked.’" Wade says the program is unique in that each regional team is allowed to use its funding for specific needs in its own area. “This area is very different than the Lake Superior basin, or Cleveland, or a metropolitan area,” he says. “We can create an action agenda specific to the resources and opportunities in our area." Networks Northwest is assisting the coalition with planning and outreach efforts, serving as a liaison between the community foundations and government leaders, water groups, residents, and other stakeholders. Sarah Lucas of Networks Northwest says Water First “action teams” will be created for each of the four waterways to help decide policy and project priorities. “These are grassroots, locally driven groups,” she says. Once the four watersheds are announced – expected in the coming months – action teams will be formed, groups will start working on community policies and zoning plans that better protect the watersheds, and funding can be secured for local projects. Those could include things like building rain gardens, installing permeable pavements, and a range of other green infrastructure upgrades. “Hopefully we will inspire other communities (to also act),” Wade says.